Hi Ben! Richard Stewart here-we met at MILOFEST. I see the Kern video on circus pony notebook is no longer on youtube. I would love to have seen it. If You still have the Kern’s trial templates I would love to receive them. I trust you are doing well, and sincerely hope to see you again in the near future. Thanks! The video has been re-uploaded and is now available to view. The Kern Lewis video about Circus Ponies Notebook that you linked to isn’t there any more. Do you still have a way to link to it? Can you provide that link if it exists? Could I have the template as well? Sent it your way. Thanks. Looking forward to our program in Chicago. Going to do the 30 day trial with Circus Ponies. Would you mind sending me the templates? I am just starting up a 1 person law office and am using MAC based infrastructure. Your advice has been very helpful, indeed. Based upon advice from your blog, I have started to use NoteBook 4, and would like to get a copy of the templates for trial. Would love to have the template. I try learn more about CPN, Could You send me the template ? Ben, great article. Could I get a copy of the template as well? Thanks. Ben, great article. Could I get a copy of the template as well? I would like copy of the template, as well, please. Thanks! Thank you for all the work you put into this. I am an independent researcher writer working in the field of applied brain research. May I please have a copy of your template? It would be useful to adapt it to my needs. Additionally, I research the brains of lawyers, so I would love to have raw the raw data your document represents. Also, do you know if there is a way to utilize the feature to multidex access multiple notebooks simultaneously? I know this is essentially asking it to behave like a relational database, but I am hoping someone like you needed to access a consolidated list of all the instances of “x” data, including from A, F, and Z cases, w/o having to merge all the notebooks. Thanks for this post. Would it be possible to send me a copy of the template? Thanks for this post. Also interested in a a copy of the template, much appreciated! I am new to Circus Ponies and would like to have copies of any templates you could share and I could use in my practice? Thanks. I’m a Mac user and I am thinking about using Notebook before spending a ton of money on a product like Case Manager. Can you please send me the templates as well. Fantastic video! Can you send me a copy of your template pls? Loved the training. Can I have a copy of the templates? Thank you. 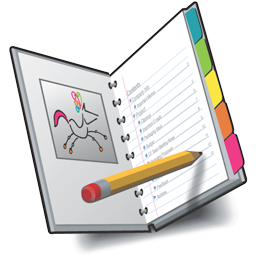 What a great demonstration of Circus Ponies Notebook and how it applies to the trial lawyer. I wouldbe very grateful if you could send me the sample template used in the training video.